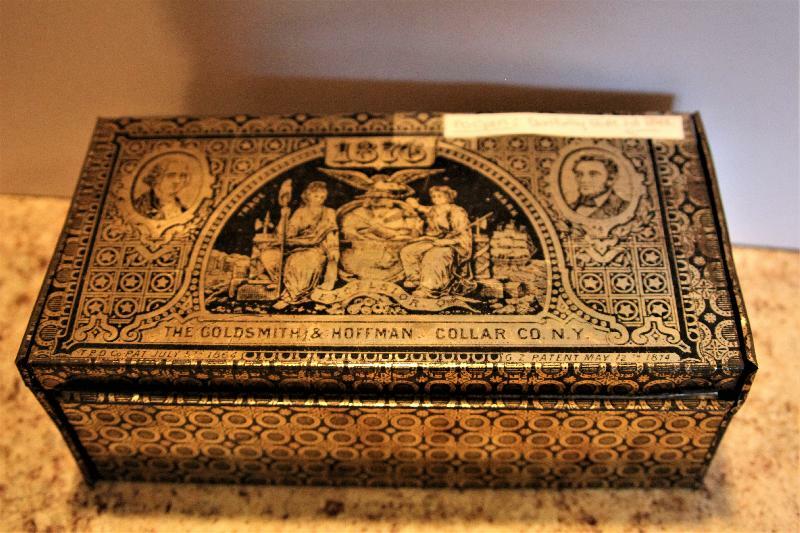 This is a Tin collar box that slides open by the Goldsmith & Hoffman Collar Co, NY. 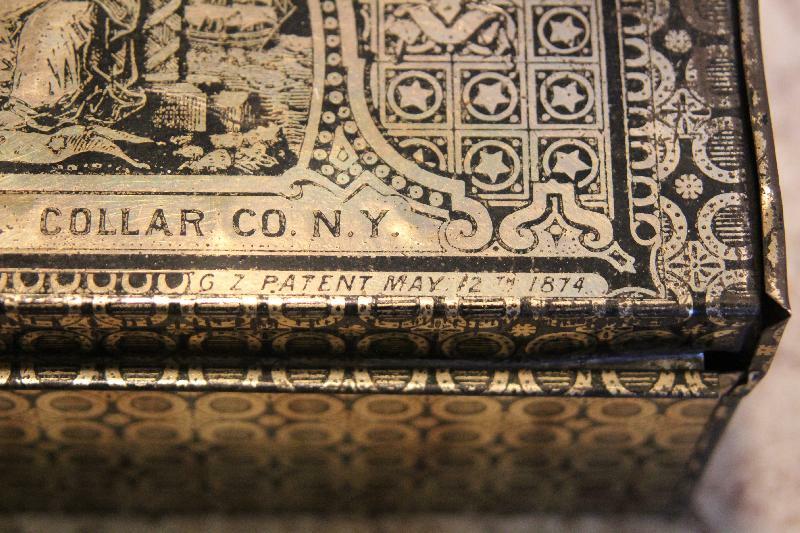 It has two patent dates,the more recent one is May 12th 1874. 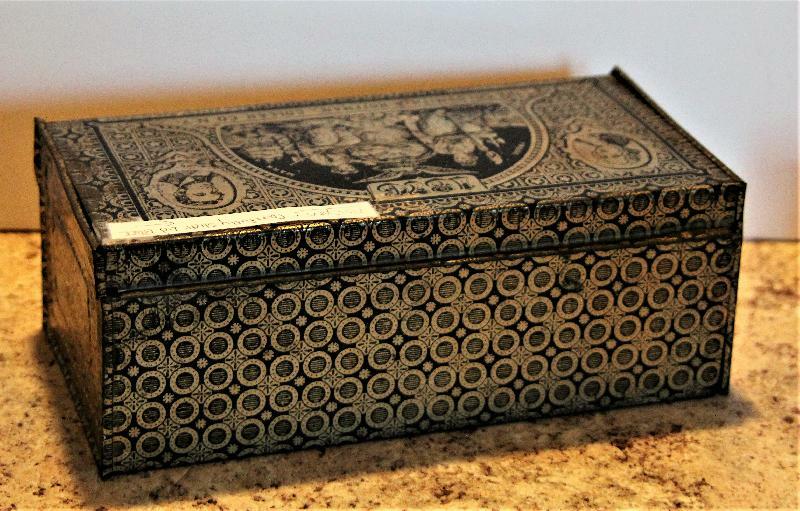 The tin is in nice condition. 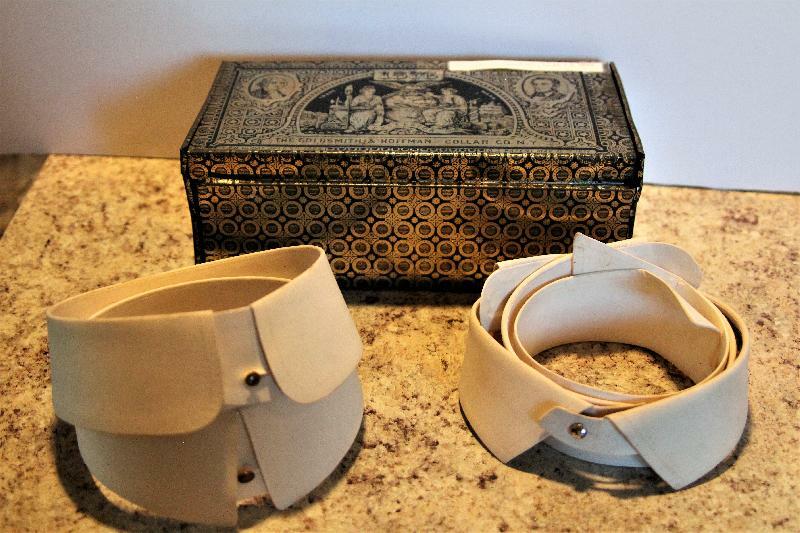 It includes 7 collars of varying sizes. Measures 10W x 4H x 5D.